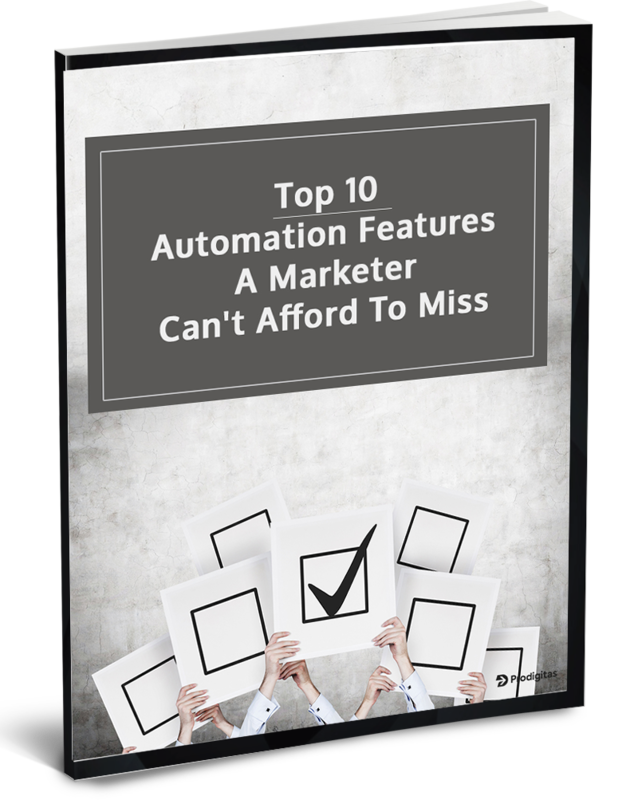 If you’re a modern marketer handling multiple marketing campaigns & wish to manage all campaigns effectively while improving productivity & ROI, then marketing automation is your go-to buddy! Download our free ebook to take a quick look at the top 10 features which every marketer must adopt in 2018 for acing the marketing effectiveness & improve buyer engagement. Analytics & Tracking … and many more! Hope you would also find it of value. Prodigitas equips modern SMB & SME marketers with the right technology, strategy and services to generate demand and manage growth.